In this first episode of our How 3D Printing will Revolutionize your Industry series we will tell you what has been going on in recent years in the Architecture and Construction Industry in connection with 3D printing. Architecture studios inside 3D printers?! If you are reading this there is a good chance that you are already one of us, a 3D printing fan, or at least you are on your way to becoming one. And there is a good reason for that, as 3D printing technologies are revolutionizing the way we interact and translate ideas to objects, which is a key process for anyone working in either of these industries. As a matter of fact, finding a 3D printer in an architecture studio is becoming pretty normal these days but… How far are we from witnessing an architecture studio inside a 3D printer?! Yes, you read correctly! 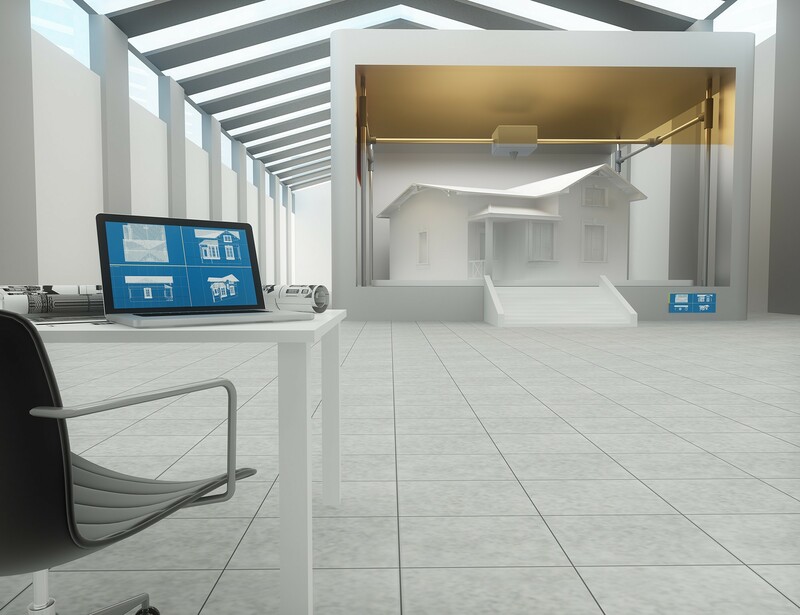 Crazy as it may sound, 3D printers building entire houses or offices is starting to happen and is probably bound to become something fairly normal in the future. 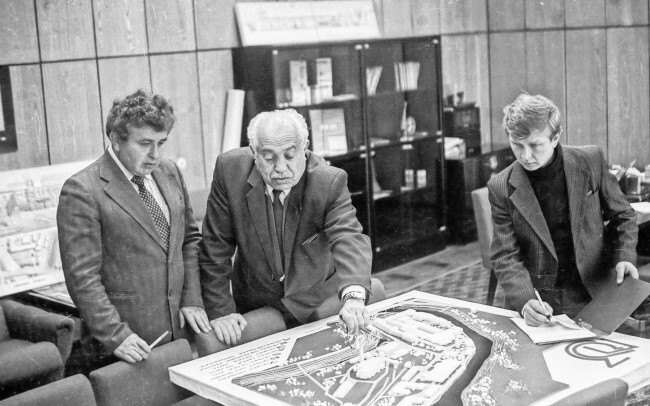 But let us back up a little bit, to understand how the relationship between architecture, construction, and 3D printing started and try to imagine where these three are going. Originally, architecture firms were among the first businesses to adopt 3D printing technologies to ease and simplify the creation of their architecture models. This important step between a conceptualized design and the first brick in the construction site helps architects to study the interaction of volumes and shapes, communicate design ideas, explore how a design looks from different perspectives, visualize light interactions and even the key phase of selling the design. Back in the old times and especially today with modern sophisticated designs, manual architecture modeling requires skilled craftsmanship and a tremendous amount of time, so it was natural to evolve towards a faster, more accurate and easier option. 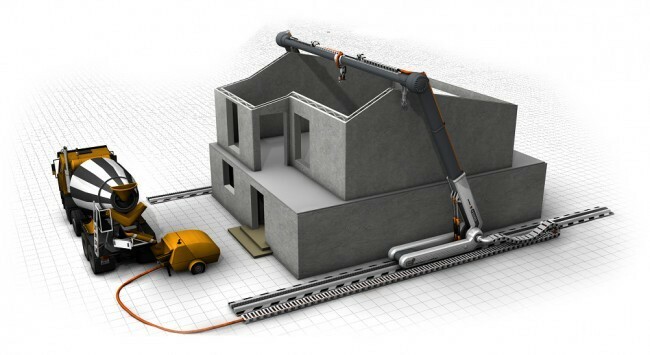 How far can we go with 3D printed houses? The questions that follow then are, can architects and builders do more than just small sized models with additive manufacturing technologies? 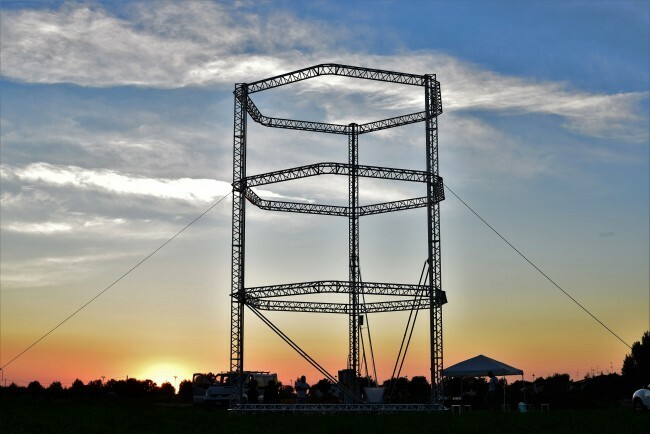 How far can we go in the adoption of 3D printing to achieve better looking, faster to build and cheaper homes? According to the latest results by several projects determined to 3D print homes and buildings, we could say that the answer is “pretty far”. As one of the pioneers in this kind of technology, Dr. Behrokh Khoshnevis of University of Southern California has spent more than 15 years developing his Contour Crafting system. First unveiled in 2006, this system works in a similar fashion to a desktop FDM 3D printer but it uses a fast drying concrete mix instead of plastic and it is installed on the building site instead of your desktop. Then, this giant 3D printer builds up layer after layer, potentially doing also all the plumbing, wiring and painting work completely automated until, 24 hours later, an almost finished house is ready. Among important advantages like its complex shape capabilities and blazing fast speed compared with traditional building methods , such system inherits one of the best characteristics of all 3D technologies: almost no wasted material, which in conjunction with its automated nature could mean more affordable housing, at least when this technology fully matures and reaches widespread use. Crazy 3D Printing construction projects: 3D printed base on the moon! As if all this wasn’t impressive enough, NASA has even supported a study of the feasibility of this concept to be used to build a lunar settlement taking advantage of local materials i.e. 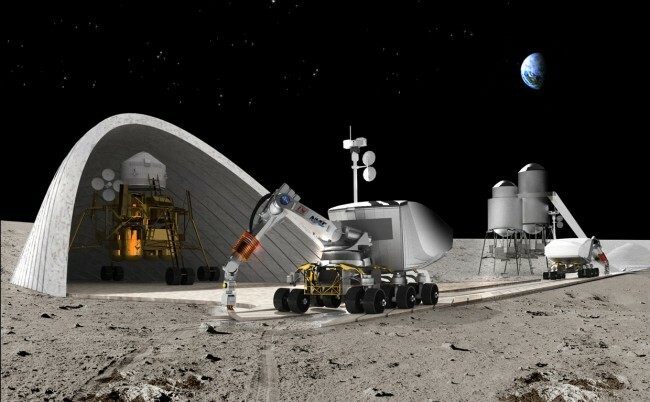 lunar soil, instead of the almost prohibitive approach of transporting prefabricated modules, especially if the long-term target is to continuously expand operations on the moon. Although the only one with extraterrestrial goals, this is just one of several projects moving forward in the same direction. 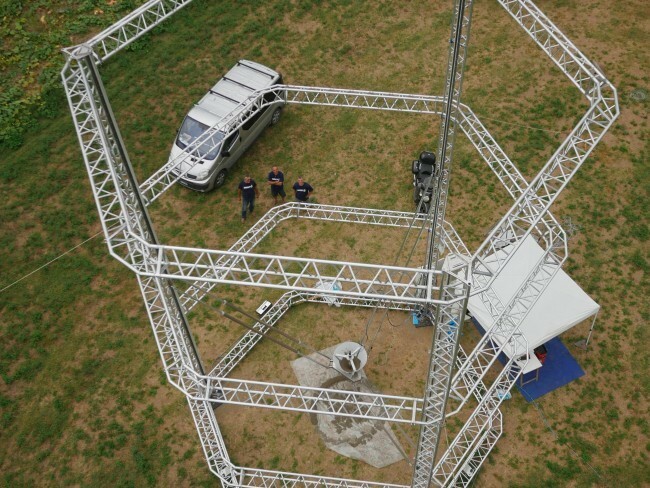 The Italian team behind World’s Advanced Saving Project or WASP Printers recently presented a scaled up version of their Delta 2040 printer and by “scaled up” we mean, a colossal 39-feet-high structure. Despite being a work in progress, this is a big leap forward for this clay/concrete 3D printer towards a simple goal: “create a means for affordable fabrication of homes, and provide these means to the locals in poverty stricken areas”. According to a press release on WASP’s website, United Nations estimates an average daily requirement of an astounding 100,000 homes over the next 15 years to cope with the world’s growing population, making a fast and inexpensive way of building houses not only a great idea but a necessity. 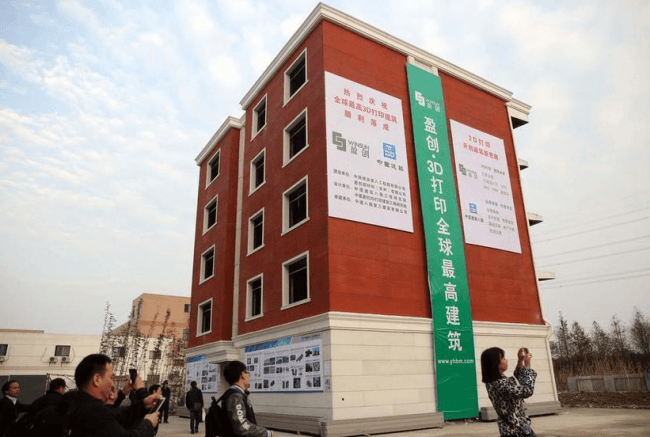 On a more advanced stage of development but not without its controversies, Chinese company Winsun has also made major headlines in the 3D printing community a few times during the last two years when they unveiled a group of ten small houses, allegedly build in one single day, as well as a 6-story building and an entire mansion. 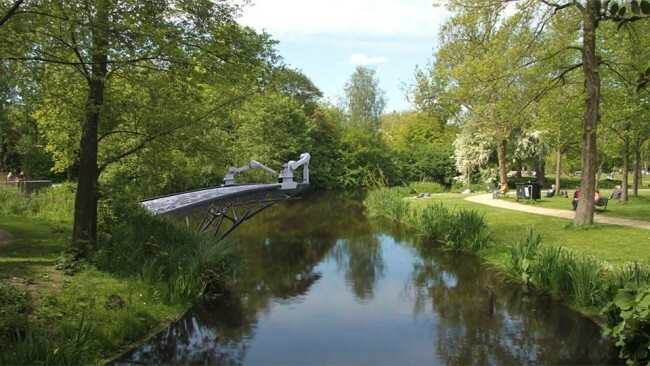 To achieve this, big segments of the structures are 3D printed on their factory using a mixture of concrete and construction waste, and a staggering 20 feet tall, 33 feet wide and 132 feet long 3D printer. Once all the components have been fabricated, they are shipped in and assembled together, just as if they were Lego bricks. According to the company this method allows them to save up to 60% of the materials usually needed with traditional building methods and requires 80% less labor, leading to more affordable housing, at least in theory. Unfortunately for innovation, there is the possibility that the strong resemblance between this system and the one developed by Contour Crafting might not be just a mere coincidence. After several unsuccessful tries to reach a Winsun representative by Brian Krassenstein (3dprint.com author) to learn more about their technology and reported achievements he ended up discovering what could be yet another story of actual innovation being poorly copied abroad. Even if such allegations were not true, there are still plenty of questions to be asked to all existing developers of building printing technologies. Currently, none of these systems can handle major elements of the construction process of a regular building, such as electrical services, plumbing, doors, windows, joinery, and finishes. All of which would still take a significant amount of time and manual labor to be installed into the 3D printed shell in conventional ways, thus reducing the overall savings in time and cost while using a significantly more sophisticated system. Also, studies on structural stability against earthquakes and winds are yet to be done before anyone can safely live in a 3D printed house. The good news is that none of these challenges is insurmountable and sooner or later we will probably see 3D printed habitable structures and architecture. Also, there are some structures that may require fewer capabilities that we can achieve with our current technology. 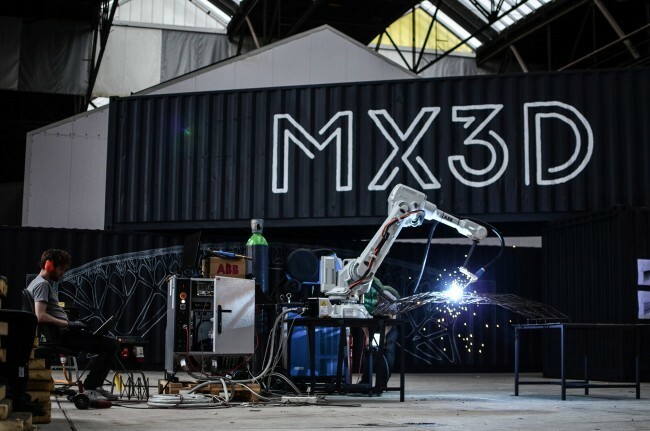 A great example of this is what the Dutch company MX3D is doing with their direct 3D metal printer. According to their website, they cleverly took advantage of a commercially available industrial robot, equipped it with an advanced welding machine and coded its brains to create remarkably amazing metal structures with no support material whatsoever, just building them in mid-air. Feats like the bridge they are about to build in Amsterdam are nothing short of impressive but simultaneously simpler than printing entire functional buildings. It actually wouldn’t be a big surprise that the future technologies that allow us to print bigger, safer and faster end up being an integration of all the developments that are taking place today. Either way, most definitely is going to get interesting. Lastly, if waiting for the future is not your thing, you are also free to follow Andrey Rudenko’s steps and build your own building 3D printer at home, to start forging the future of construction today in your backyard. Although we still can’t offer you a real-size 3D printed house, for sure we can print your architectural model both in plastic as well as multicolor material for a hyperrealistic look of your project. Learn all you can do for your architecture project in our Architecture and Construction page!